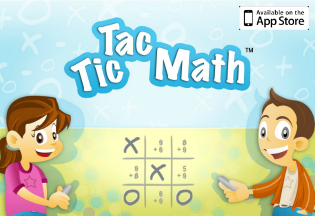 Are your kids excited each day to do math? Maybe they love math. If so, that’s great! If not, I want to encourage you to find ways to make it less painful and maybe even a little bit fun. If you have a reluctant math learner, there are things you can do to help and support them. One of my favorite ways to get kids more involved and excited about learning math is to take it outside. 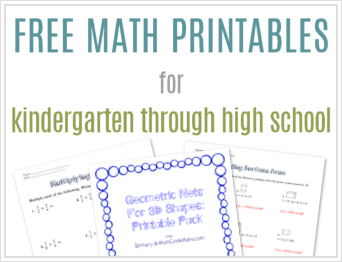 There are so many benefits of taking math outside that I hope you will try to make it a normal part of your routine, whether you are a teacher, parent or homeschooler! 1. The fresh air and sun is good for their health. Being outside can increase the levels of serotonin and dopamine in the brain, helping your kids be happier and less stressed. 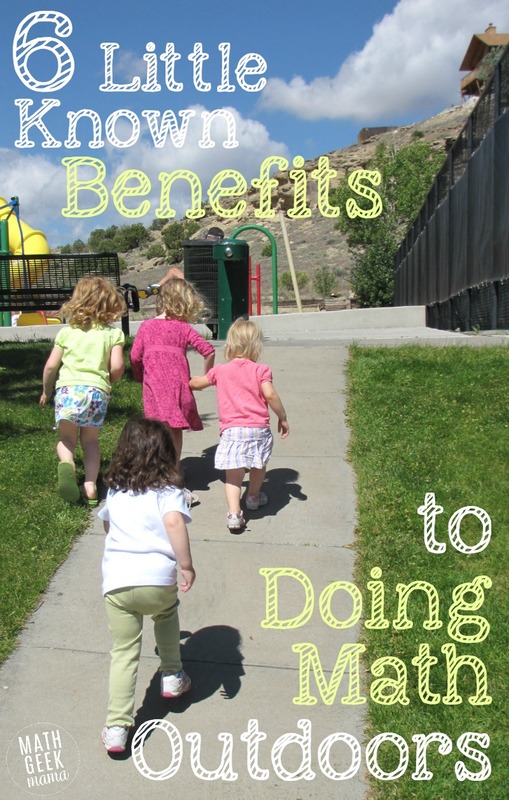 In addition, getting out for a walk or hands on math activity can provide exercise and a chance to get up and move. Read more: Improving Your Child’s Mental Health Through Easy Everyday Activities. 2. A change of scenery can be motivating. Sometimes just a change from the normal, everyday can be exciting and fun for kids. A 2008 study of Kindergarteners found “a significant amount” showed enhanced enthusiasm about learning by taking it outside. In addition, I personally saw greater engagement and participation from high school seniors when we worked outside. 3. Kids can learn outdoor skills at the same time. Incorporating math learning into outdoor skills can help kids learn math and life skills at the same time. Gardening or using a compass, for example, can be a means of exploring math in the real world. 4. Kids can look for patterns and shapes. Our world is made up of mathematical structures, whether it is in nature or the buildings around us. Going outside gives kids a chance to see patterns (such as Fibonacci numbers or fractals) in nature, as well as all kinds of shapes that make up our world. 5. It can help them retain more. By working on math in a context or within a particular experience, kids are more likely to remember what they learn and practice. Creating fun memories can help kids build a foundation on which to build later learning. 6. It’s an opportunity to see and use math in real life. Making math relevant is an incredibly important component of math education. If kids don’t see how and why it is necessary, they will not be as motivated to learn and succeed. Going outside and exploring math problems in real life can help make math meaningful. Using measurement and estimation skills, for instance, is one way kids can apply what they’re learning to the real world. Being outside helps kids develop mathematical eyes, and see all the ways that math is around us. Read More: The Value of Outdoor Learning: Evidence From Research in the UK and Elsewhere. These are just a handful of ideas, but hopefully it gives you some places to start! What would you add? 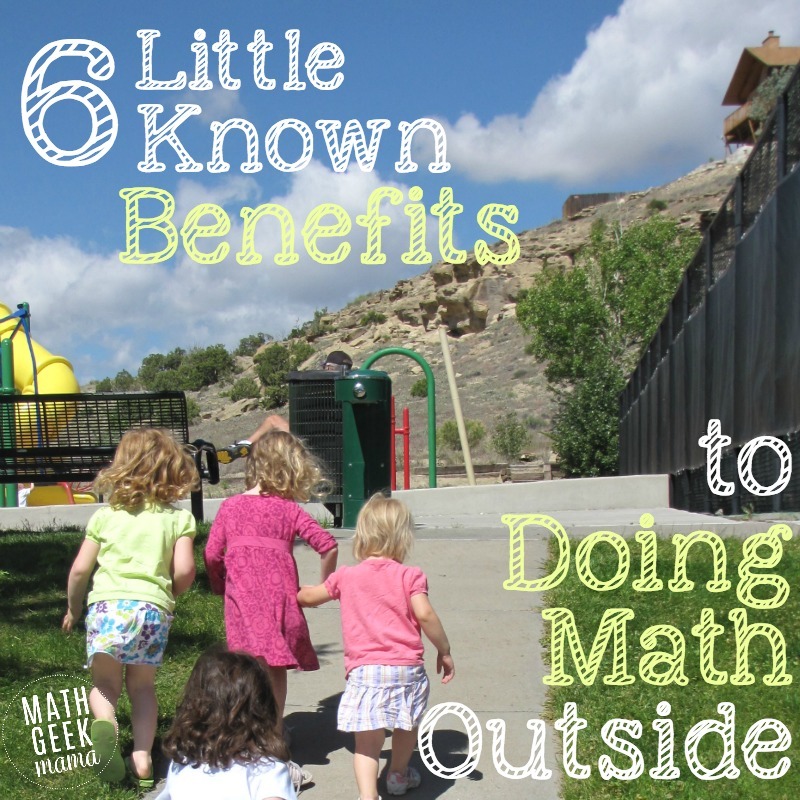 What would you say are the benefits of taking math outside? 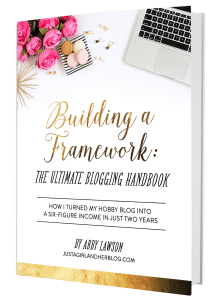 What other fun ideas do you have? Great reasons to get outside! Wonderful tips for the parents to make their child learn. It’s a good idea to go outside in the fresh air to teach the kids, different shapes and patterns. I think that you always share something innovative and different methods to teach and your ideas are awesome. I appreciate for your commendable posts. We take all of our lessons outside as soon as it is warm enough to be comfortable. The girls set up their hammocks and gently sway while I read our lessons. And math with sidewalk chalk or nature items cannot be beat! I totally agree – learning outdoors is a great change of scenery. I don’t remember much about doing maths in the classroom as a kid but I do remember walking around the school with a measuring wheel. That was about as fun as maths got! Anything to make it more hands-on and real-life helps cement the learning. Thanks for sharing.